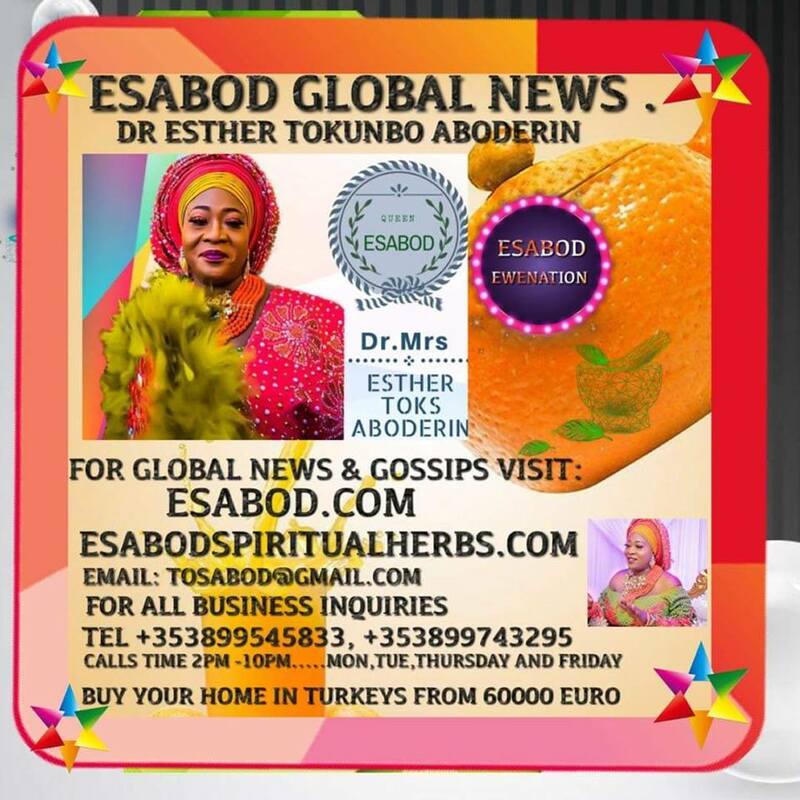 How Helen gbemi ogundimu nurse madokoku daughter contacted hiv...lase brown daughter of Helen is a night club dancer who give a blow jobs to men at the rate of £5. = Lase brown recollect sleeping with a man in December. Stella, a student of Gateway Excel College, Ogeneago Otukpa in Benue state , died after she was operated on by a lab scientist posing as a doctor, she developed complications after the quack doctor performed an open appendectomy on her. 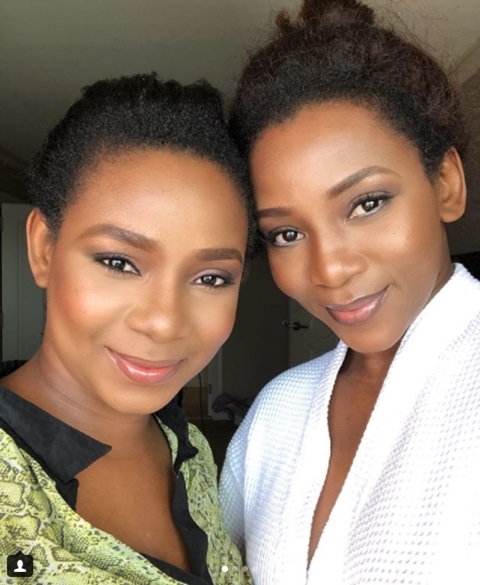 Popular Nollywood actress, Genevieve Nnaji has shown off to the world how she and her younger sister are looking like twins in adorable new photos. Singer Tiwa Savage is currently on a vacation in the United States Of America with her son, Jamil. The Mavin’s first lady took to her Instagram page to share some photos with her son having a good time in America.Tiwa’s son is seen wearing an army jacket on a baby pink outfit and they both looked lovely together. 37 Year Old Unemployed Woman Commits Suicide. A 37-year old woman simply identified as as Banke has reportedly taken her own life – a Facebook user who’s the deceased’s friend, Esther Ijewere, revealed that Banke became depressed over her inability to get a job for years and had just ended a violent relationship. A beautiful lady named Vanessa, is all smiles after her husband bought a brand new car as early birthday gift. Vanessa, who is set to turn a year older soon, got a brand new Acura ZDX as an early birthday gift from her husband, Kingsley Ekeoma popularly called Escobar Smith. Photos From The Naming Ceremony Of 80 Year Old Alaafin Of Oyo’s Twins. Weeks ago, the Alaafin of Oyo, Oba Lamidi Adeyemi, welcomed two sets of twins with his two of his young wives. Olori Memunat, who gave birth first has shared photos from the naming ceremony held at the palace. Bayelsa is currently dominating the 2nd National Para-Swimming Open Championships in Abuja, winning eight medals so far. Laye Zarat and Innocent Terifa, both from Bayelsa, came first in the 200m individual men medley in the 898 and 777 classes. Rev.Father Chike, who is the parish priest at Our Lady of Fatima, Woliwo, Onitsha, Anambra State, has been arrested alongside others following his alleged involvement in the stealing of an 18-month-old baby, Abdullahi Azeez, in Osogbo,Osun State.It was gathered that the baby was stolen by one of the suspects identified as 28-year-old Joy Esu, who approached the baby’s mother claiming that she wanted to learn tailoring. 76 Quick Facts About Pastor E.A Adeboye As He Turns 76. Today is the 76th birthday of the highly esteemed General Overseer of the Redeemed Christian Church of God, Pastor Adeboye. The revered man of God has already received several congratulatory messages from loved ones and church members all over the globe. To also celebrate his birthday, here are 76 things you may not know about the Spiritual father to many great men of God in Nigeria and all over the world. Nigerian actor, Odunlade Adekola was pictured in a police uniform and he boasted about joining the force to protect lives and properties. It appear Nigerian singer, Kiss Daniel is wanted by the Nigerian Police. It is not quite clear why the singer is wanted but he currently has a case with his estranged recorded label, G-Worldwide Entertainment, a case bordering on breach of contract. Nigerian international, Gbolahan Salami has a very cute wife and child he is very proud of as seen on his Instagram page. New Lovely Photos Of Plus-Sized Woman And Her Slim Husband Who Went Viral With Their Pre-Wedding Photos. Y’all remember this lovely couple who about two years ago, went viral with their pre-wedding photos as everyone couldn’t get enough of the photos, as as much as it was hilarious, so was it adorable. Their photos went viral not only because of the fact that their dichotomy was absolutely glaring but also the hilarity that was gotten from their various poses. All over the world, every second and every minute, someone somewhere is attempting to set a new record or break an existing one and these records don’t come cheap. No matter what act it is, be it singing or dancing non-stop, it takes one with a creative mind, zeal and energy to achieve such. For one to break a record, what it takes is one to do the extraordinary and once this happens, the individual is on his way to international recognition. Pastor B.E. 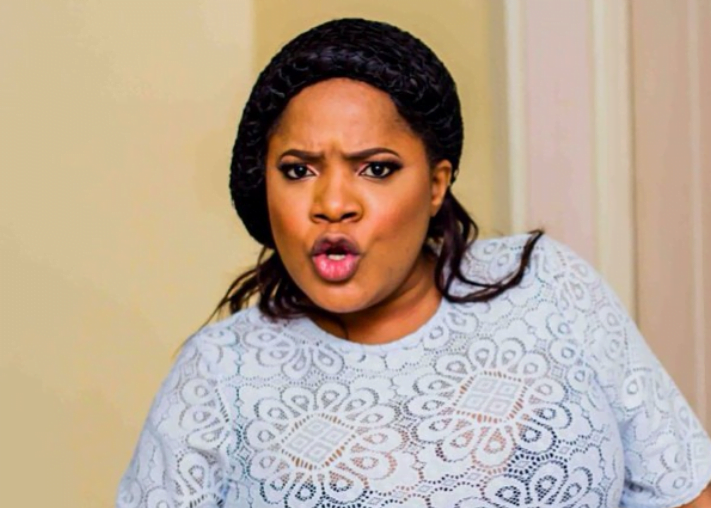 Aimakhu, father of Nollywood actress and producer, Toyin Abraham, who died last year after clocking 77 years old on 1st October 2017, was buried yesterday March 1st, in Ibadan,Oyo state.Toyin Aimakhu, who was present at the burial ceremony with her siblings, cried uncontrollably as her father who died after a brief illness, was laid to rest. An obviously heartbroken man has taken to Facebook to narrate hosoldiers attached to the Trans Amusement Park, in Ibadan, the Oyo State government killed his twin brother after a scuffle. It was reported sometimes around last month that one Pastor Emmanuel of the Grace Dispensation Prophetic Ministry Int’l located in Amukpe Axis of Sapele Delta State was shot dead by Police during a robbery operation. The Founder and General Overseer, Grace Dispensation Ministries, Apostle Joshua Oribhabor has however come out to clarify the report.n an interview with Sapele Olofofo Unugbragada, the General Overseer Apostle Joshua said Pastor Emmanuel visited his Ministry in one of his programs and he was accepted into the Ministry as a brother in the faith. A four-woman kidnap gang has confessed to the kidnap and sale of a five-year-old girl in Imo State. A 22-year-old member of the gang allegedly told the Imo State Police that the gang abducted the girl just to “get back at her father.”Chiamaka Ukeje was said to have confessed to selling five-year-old Chinagorom Ndukwe, who is the daughter of her uncle, for N400,000. Police authorities have arrested one Pastor Benjamin Ndieze, the officiating Pastor of Deliverance Home of Comfort Assembly, Ihiagwa in Owerri West LGA of Imo State for arranging a fake kidnap in order to deceive his church members.According to reports, Pastor Benjamin Ndieze, on the 30th of January, 2018, arranged with one Blessing Ahamefula ‘F’ of Ihie Orji Umuonyaogu Ngwa Road, Aba in Abia State to come to his Church at Ihiagwa Owerri West LGA of Imo State with her 5-year-old daughter, Faith Ahamefula. Did Apostle Suleiman predict the Dapchi School kidnap by Boko Haram? When the General overseer of Omega Fire Ministries (OFM), Apostle Suleiman, who released his New Year prophecies at the beginning of the year, he was met with a lot of criticisms from different quarters.But from all indications, it looks like some of his prophecies are already coming to pass. The man of God actually foresaw that kidnappings will happen in for some schools in the year 2018. Controversial OAP,Daddy Freeze who always finds fault in what Nigerian pastors do, has come again and this time, the Free The Sheeple Movement leader is criticizing the billboard of House on The Rock Church that was erected on the Island part of Lagos. A suspected fake female lawyer, Beatrice Obiageli Nnamuoh, 35, has been arrested for parading herself as a lawyer in Imo State . The suspect was arrested at Orlu after defrauding members of the public of over N342,000 under the pretence of selling auctioned vehicles to them, having severally posed as a Lawyer.In the course of investigation, Nnamuoh confessed to being a fake Lawyer of 5 years. She also confessed to have forged the letter headed papers bearing Basil C. Okereke – Seat of Wisdom Chambers No.10 Orlu/Amakohia Road. A man has revealed how his father forced him to get an extra wife in order to have a male child. According to him, being the only son prompted him to marry a second wife in order to please his father and have a son. After marrying two wives, the man has been blessed with six girls i.e 4 from the first wife and 2 from the second wife. He was almost made to marry the third wife in search for a son. A Brooklyn woman has been accused of attempted murder after allegedly trying to poison a look-alike with tainted cheesecake and steal her identity, authorities said. Singer and entrepreneur, D’Banj, has revealed how the fear of poverty made him think out of the box to create wealth for himself. D’Banj disclosed this when he spoke at the 2018 Social Media Week Lagos which began on Monday, February 28th. An Indian Twitter user posted photos of a young gloomy bride, who recently was married off to an older Nigerian man. The girl is said to be around 15 years old while the Nigerian man looked to be in his 60s. The wedding ceremony took place in Karnataka, a state in South western region of India. First babymama of Nigerian music artiste,Davido, Sophia Momodu, in her usual way of giving a narrative, has taken to her social media account to share an embarrassing moment she experienced at a bank recently. Mama Imade had not so much of a scene but certainly an embarrassing moment for her at a bank when her waist bands decided not to corporate with her, falling off from different parts of her body onto the floor.